Syllable division of words is a key component to the word decoding process. As students advance into higher level reading material, the number of multi-syllable words increases, and it becomes necessary for students to have the skills to separate a word into its parts. 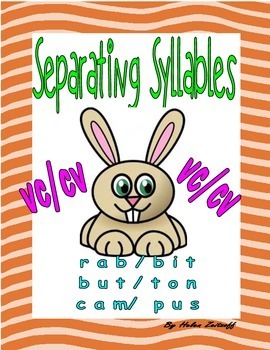 Separating Syllables! 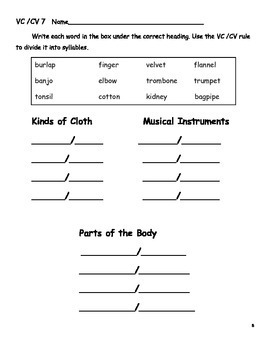 will take students through a progression of steps to master the skill of dividing words into syllables. Once your students learn to decode syllables, they will have the key to unlock the door to many difficult words when reading independently. VC/CV rule to separate word parts.